Our soldering course will be resuming on Sundays starting in April. The cost will be by punch card and we ask that the interested individuals attend the first workshop to obtain the basic principles and start with your first piece. After that it will be drop in style and with Q&A for the instructor on your specific project. Please bring exact change for punch cards and your membership if you don't already own these two items. Memberships can be purchased or renewed through the workshop. A single membership is $20 and a family membership is $25. 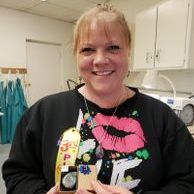 The cabochon contest entries have been extended to the last workshop prior to the March monthly meeting. Voting will take place at the March monthly meeting. Please click here for contest details. 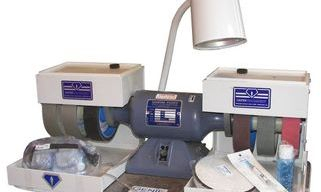 The Brantford Lapidary & Mineral Society's workshop offers five Genie machines plus saws, polishers, a flatlap and jewellery making supplies. Interested individuals are welcome to join us any time the workshop is open to learn the art of stone cutting or use the equipment. All levels are welcome from novice to expert. In order to take advantage of the workshop, you must be a member of or join the Brantford Lapidary & Mineral Society. For new members the first workshop is free and we provide a stone for you to practice on. We have a large selection of rough rock to choose from. It just might be the perfect rough to make cabochon to mount in a piece of jewellery or proudly display at the next gem show. Whether you are planning to attend a workshop or have already attended, opt in to receive up to date information on late openings, closures due to unforeseen circumstances, hours of operations changes and instructor announcements. Click Here to Join Our Emailer.